A total of 50 people died in the attack carried out by an Australian national. Thrissur: The funeral of Ansi Alibava,23, who died in the shootout at the Christchurch mosque, will be held at the burial ground of Cheraman Juma Masjid at Kodungallur at 11 a.m. on Monday. Ansi, a post-graduate student of Agri Business Management at Lincoln Christchurch, was killed in the terrorist attack at the Al Noor mosque during Friday prayers on March 15. Ansi and her husband Abdul Nazer are natives of Kodungallur and her family is presently staying in a rented house near the Cheraman Masjid. Nazer, who was also offering prayer at the mosque, escaped unhurt. 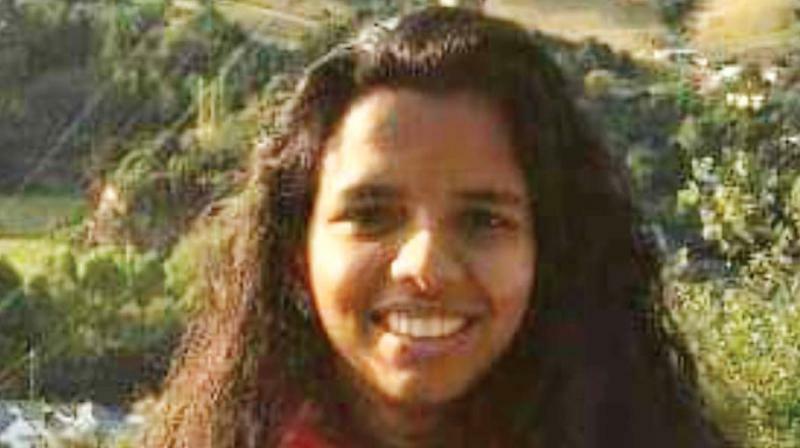 "The embalmed body of the victim will arrive at Nedumbassery airport at 3 a.m. and will be first brought to the house of her husband at Chervallur and taken to Ansi's house. From 9 a.m. to 11 a.m, the mortal remains will be kept at Methala panchayat community hall at Kodungallur for the public to pay their last respects," Ansi's uncle K.I. Naushad said. Ansi, who passed Plus- Two with high marks, did her B. Tech in agriculture from Kelappaji College of Agricultural Engineering and Technology (KCAET) at Tavanur in Malappuram and went to New Zealand to do M Tech in Agriculture, Naushad said. Her family had to sell their house to meet the expenses of her wedding two years ago. Her father, Alibava, died in Saudi Arabia seven years ago. He was working as a labourer there. Ansi's mother Rasiya is a housewife and her younger brother Asfi is a student of multimedia. She had completed her masters in Agri Business Management from Lincoln Christchurch University three weeks before the massacre.